Home / Uncategories / Sana's Ramblings Turns 3 !! 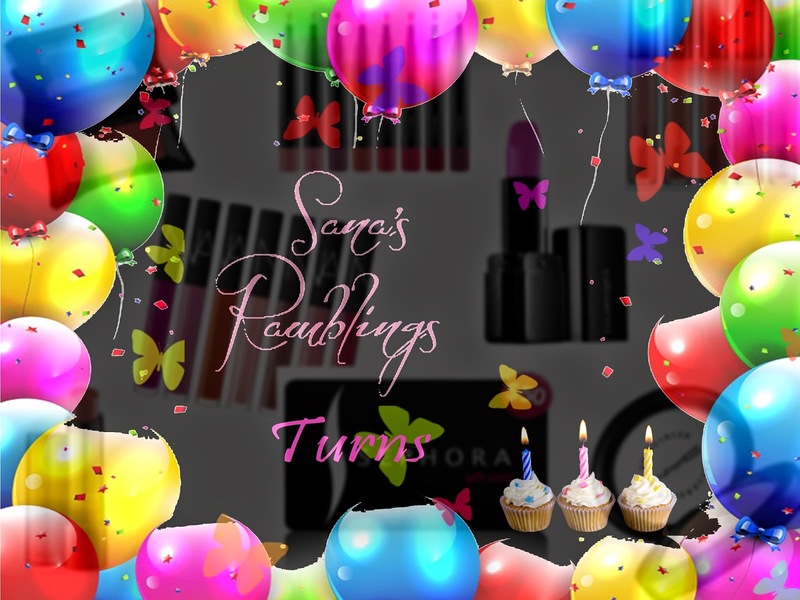 Sana's Ramblings Turns 3 !! Yey!! My baby (blog) turns THREE today. After crossing more then 3 Million page views and more then 25 Million views on G+ I still can't believe that I've completed three whopping years of my blogging journey this year in October 2014. I never imagined and believed that I'd be making it this far. I would not say my blog is thoroughly professional but it's still there and the only reason of existence of my blog, my continuous postings is YOU, who were, and who are really supportive through out the journey (despite being haters or judgmental). I really want to say THANKS to each and every one you guys who's love, never ending support, positive critics and active engagement brought me here today, where my blog is standing. A massive giveaway was on the cards and here's the sneak peak of what's in store for you-something better, bigger and exciting. I was running short of time, therefore I only managed to do what best I could do in such a short time whilst running errands. I'll be announcing an exciting, the bigger, the better giveaway soon where you can win $50 Sephora Eard and amazing goodies from MAC, NARS, Rimmel London, Urban Decay, Illmasqua and Sally Hansen. Once again, I owe you guys so much for the never ending support, unconditional love and positive attitude. I love you guys. 47 comments on "Sana's Ramblings Turns 3 !!" Congrats Sana.. I've read many a post during these 3 years and enjoyed them immensely. Here's to many more to come !!! I hope next three will be even more fruitful. YAY! Congrats Sana. To be frank, I just turn 1 this September. I wish you can keep inspiring with your writing. congrats on three years! thats amazing. and you are doing so great! you must tell us your secret to success on your next blog post. 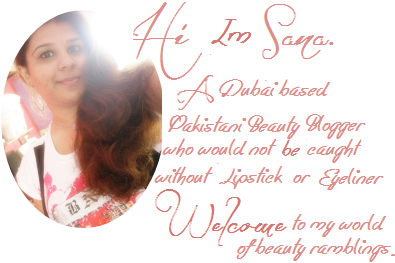 Congratulations dear Sana for completion of 3 exciting years of your blog. Hope that it goes on and on for years to come. Cheers!! congrats on your blog..wish you more and more success. Congratulations on your blog birthday! I can totally relate to achieving such milestone! Mine just turned 4! Congratulations Sana! Wish you all the best. I will keep reading your blog posts inshaAllah. Congratulations and happy birthday to your blog! Wish you a lovely continuation! Congratulations :) I hope the next 3 are even better! Heartiest congratulations. Is this giveaway for UAE too?